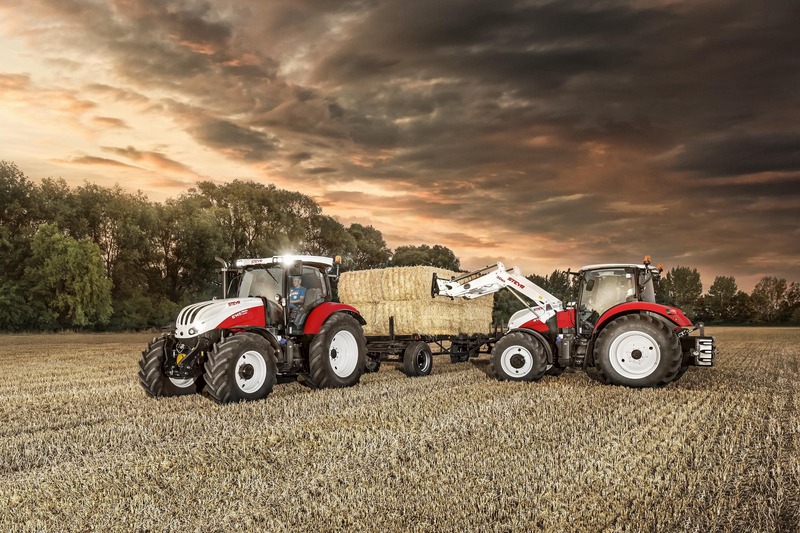 The STEYR front loaders are perfectly designed for use with our models. They embody ultimate precision, rapid response characteristics and remarkable ease of handling. All models supplied ex-factory for operation with a front loader are equipped with the necessary installation spaces and hydraulic lines. 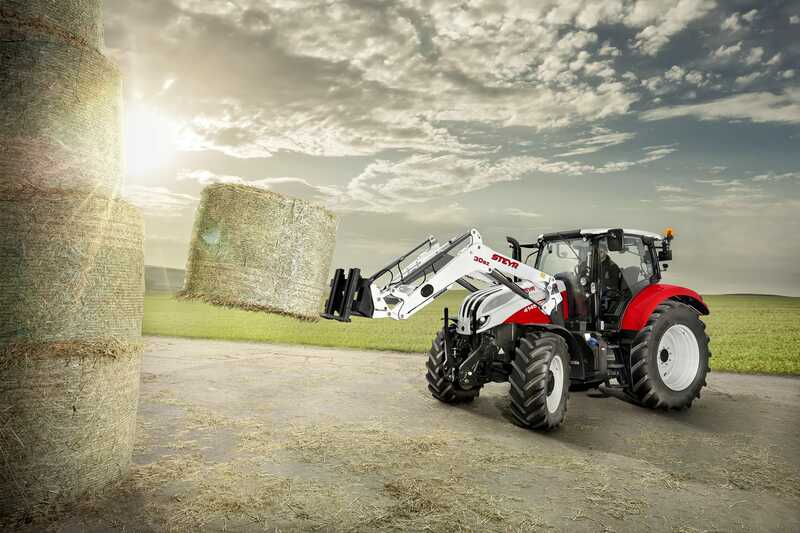 There is also scope for retrofitting an loader to all the tractors in the Profi range. The Profi models are ideally suited for the use of an SZ front loader. All the couplings required are factory-fitted, and it is really easy to operate the front loader using the integral joystick in the armrest. Even in very confined spaces, either in the farmyard or on the field, it is child's play to move backwards and forwards with the front loader. Quick Turn and Powershuttle also help to improve manoeuvrability. 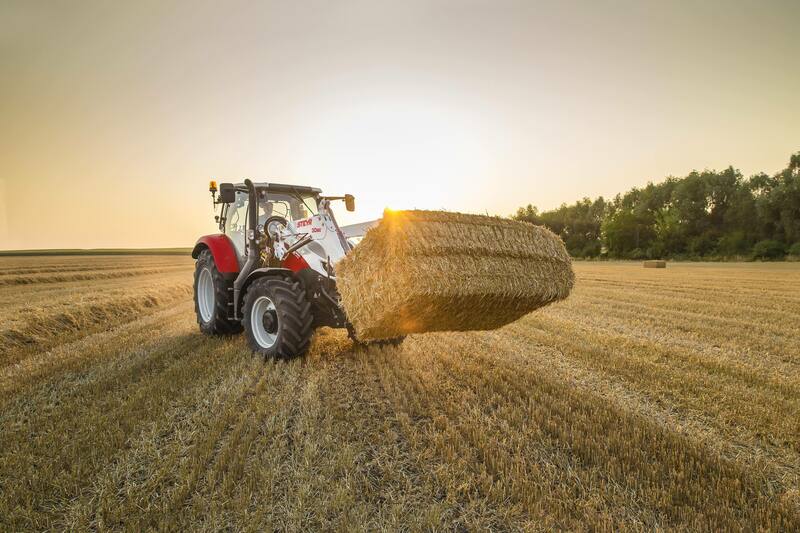 Not only that, but connecting and disconnecting the loader to the tractor could scarcely be made any easier. The hydraulic connections are arranged on a central and readily accessible distributor. This enables the loader to be mounted and removed within a matter of seconds.